I redirected my primary focus and energy from playing college basketball to entrepreneurship in 2006. I took a leap of faith and left my comfort zone in Pittsburgh, Pa and moved to Orlando, Fl. While attending the University of Central Florida (UCF) I co-founded two businesses, one focused on real estate (lease purchase program) and the other a SaaS product (GroupTable – collaboration software – think Trello before Trello) that we grew to 10,000 users. To date I am the only UCF student to ever win the UCF Joust Business Plan Competition twice (earning nearly $20,000 in college to fund my ventures). After graduating in 2008, I started a marketing agency that I grew to several million in sales while using extra capacity and profits to make my own investments in my tech and real estate ventures. Currently my focus is on funding real estate and early stage companies, along with some marketing & business consulting. I have learned a lot through my entrepreneurial journey since arriving in Central Florida in 2006. Below is highlight of my experience and achievements. More to come. I am a founding partner and the Chief Strategy Officer of the Orlando Opportunity Fund. We are committed to producing solid investor returns while transforming Central Florida communities and our local economy through investments in real estate and early stage companies. Investors can leverage unprecedented Federal tax incentives enacted in December 2017 and convert their capital gains into an investment in a qualified opportunity fund such as ours. Orlando Entrepreneurs (OrlandoEntreprenuers.org) is a network, resource center and Podcast founded by David Brim in summer 2017. We connect, cultivate, and celebrate our local entrepreneurs. Our mission is to advance our entrepreneurs, their companies and our local economy. By partnering with organizations that champion entrepreneurship in our area we help existing and emerging entrepreneurs navigate the local entrepreneurial landscape and find the events, resources and support they need at the right time. Through our online community and events, we bring the fragmented Central Florida entrepreneurial ecosystem together for a chance to connect, learn and take the next step in their entrepreneurial journey. Brand Advance is a Creative Marketing Agency based in Orlando that helps companies with passion and purpose achieve their goals through marketing, advertising and technology. The Brand Advance team has worked with hundreds of companies from start ups to well known brands. Some recognizable brands we have worked with include: Best Western, UCF, Howard Johnson, Purdue, Holiday Inn, Lowes, MICROJIG, Bridgestone, Orlando International Airport and more. I started Brand Advance in 2009 and with the help of my talented team grew the company to over $3M in sales with no outside investment. In 2017 I scaled back the agency to focus on real estate and angel investing. I still consult a few select clients through Brand Advance, help certain companies with online lead generation, and take on other projects on a circumstantial basis. Working with the Edward Lowe Foundation, a nationally recognized entrepreneurship development organization, GrowFL applies lessons learned from the proven art of “economic gardening”, pioneered more than a decade ago in Colorado and now being applied nationwide to help second-stage companies grow. GrowFL draws on the strength of a unique partnership that includes the Florida Economic Development Council, Enterprise Florida, Workforce Florida, the Florida High Tech Corridor Council and others working to identify and cultivate hundreds of growth companies. Brand Advance was hired by GrowFL in 2010 to provide second stage companies in Florida assistance in developing and improving their internet marketing efforts. My role in the program is to work with the second stage companies ($1 million+ in revenue and 10 or more employees) and advise them on how to grow their business through the use of social media, SEO and other online marketing strategies. Soon after being contracted by the University of Central Florida, Brand Advance was hired to assist the National Economic Gardening program. Through contracts with GrowFl and the National Economic Gardening program I have personally worked with over 800 second stage growth companies spanning multiple industries across states such as Florida, Ohio, Arizona, Michigan, Utah, Virginia, New York, Wisconsin, Kansas, Tennessee and more. We are an award winning team of experienced commercial real estate investment partners with deep roots and seasoned business relationships in the Central Florida area. We have over 130+ years of combined experience in the real estate industry with a specific focus on commercial properties primarily retail, office and industrial (though I have experience in multi-family as well). In 2018 I scaled back my commercial tenant rep and listing activities to focus on real estate and angel investing on a more full time basis. The University of Central Florida is one of the largest university in the United States with over 60,000 students attending each year. Apartments UCF (ApartmentsUCF.com is the best place online to help prospective and current UCF students find a place fit for a Knight while attending the University of Central Florida. Find, view descriptions, images, maps and videos of UCF Apartments. In addition to ApartmentsUCF.com, I also built and grew ApartmentsFSU.com, and ApartmentsUSF.com. The UCF directory alone made an average of $1,500 and $3,000 per month net passively for 3-4 years with an initial investment of under $1,500 and no monthly costs (purely organic traffic). In 2017 I sold my ownership of this venture to a strategic partner while maintaining a percentage of future sales. Bright Impact was an online platform that enables students and educators to manage their service learning and social entrepreneurship projects and measure their impact. I self funded this venture in 2013 with around a $35k investment over the course of its life span and grew it to six figures in sales. Outside funding could have been raised, but due to market challenges, difficult education sales cycles, cut budgets, numerous unsuccessful pivot attempts and an unclear direction forward, I decided to take the venture off line in 2015 to focus on other initiatives. *Side note: I used the profit generated from Bright Impact to make a real estate investment, which turned out very well. GroupTable was a collaborative software application tailored for managing student groups that was launched in February 2008. Mashable, a leading technology news blog, had this to say “The entire makeup of the service is quite impressive. Powerful, but not overwhelming”. GroupTable had over 10,000 users around the world at the time of exit (assets sale). 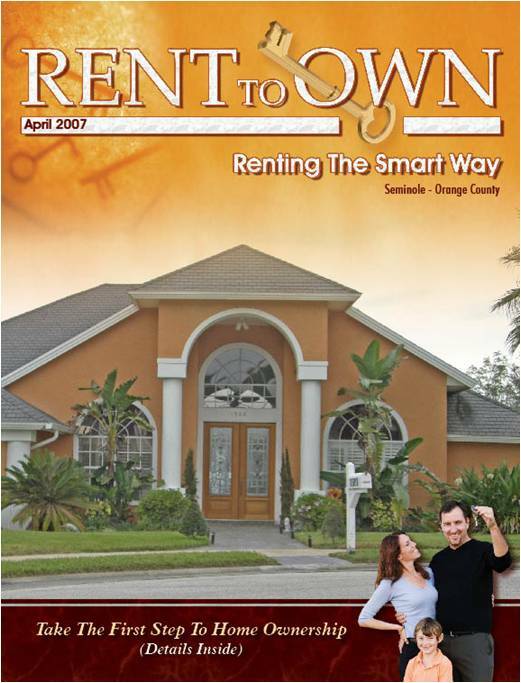 Rent to Own magazine was started in March, 2007 while I was a Junior at UCF. The first week we started generating revenue from advertisers. Instead of continuing to run the publication while in school we merged our advertisers into a larger Florida home publication and worked out a profit sharing arrangement. IZEA is one of the top Social Media Marketing companies in the country and was founded by Ted Murphy. My role while there in addition to marketing, was to identify and build relationships with the top influencers in the blogosphere and connect them to IZEA’s clients (Advertisers like MTV, Sears, Microsoft, SeaWorld, etc.) for various Social Media & Internet Marketing campaigns. Though many of the campaigns were focussed around Sponsored conversations and blog marketing I also helped run campaigns for affiliate marketing, twitter marketing, facebook marketing, CPC (Cost per click advertising) and more. I helped start the premium blogger network in SocialSpark and worked with thought leaders/A-List Bloggers like Chris Brogan, Brian Clark, Jim Kukral, Missy Ward, Neil Patel, Wendy Piersall, Chris Pirillo and more. I stepped away in May 2009 to focus on my own endeavors full time. 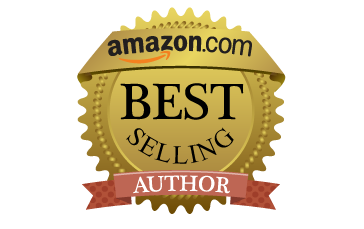 This book reached #13 on Amazon in the SEO category and 83k overall in early 2014. To learn more about the book visit here or purchase your copy on Amazon today. Out of hundreds of submissions this blog, Filled to the Brim, was selected as a top three nominee for the Florida Sunshine blogger awards by Florida BlogCon.